Teresa Rene Beggs, 48, of De Soto, KS passed away on September 10, 2018. Services will be held on September 15th with a visitation from 9:30-11:00am, and funeral at 11:00am at the De Soto Baptist Church. Graveside services to follow at the De Soto Cemetery, De Soto, KS. Memorial contributions may be made to Beggs Family Memorial Fund c/o Great Southern Bank, 34102 W. Commerce Drive, De Soto, KS 66018. Teresa was born June 23, 1970 in Merriam, KS to A.C. and Vickie (Bolen) Haulmark. 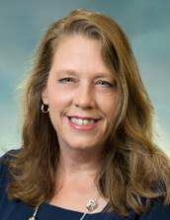 She graduated from De Soto High School in 1988, and continued her studies at Pittsburg State University, were she earned a Bachelor of Science in Nursing. Her nursing career began in Oncology, caring and comforting those with serious illness. Her passion then led her to work in the operating room. She thrived in various roles where her willingness to advocate for patients, sharp mind and honest communication led her to the role of Director of Surgical Services at Providence Medical Center. Above all of her accomplishments in her career, her greatest and most fulfilling achievement was being a Mom to her four boys. They were always her first priority, caring and tending to them as they were toddlers and encouraging and enthusiastic about their futures as young men. She took pride in being their advocate, their cheerleader and their voice of reason. She beamed at their successes and nurtured them through rough times. She loved each of them with all that she was. Teresa is preceded in death by her son, Brandon Beggs, grandparents A.C. and Mary Haulmark, Gene and Leota Bolen. She is survived by: her sons, Benjamin Beggs, Jacob Beggs, Lucas Beggs and Noah Beggs of the home; parents A.C. and Vickie Haulmark of De Soto, KS; bother Travis (Jessica) Haulmark of Gardner, KS; sister Jenny (Justin) Nelson of Rantoul; nephews Owen Haulmark, Nicholas and Wyatt Nelson; niece Nora Haulmark; as well as many friends known as her nursing tribe, Bethany Vanderslice, Joyce Carnoali, and Julie Fiscus. To plant a tree in memory of Teresa Rene Beggs, please visit our Tribute Store. "Email Address" would like to share the life celebration of Teresa Rene Beggs. Click on the "link" to go to share a favorite memory or leave a condolence message for the family.